March PLUS, What's been up? So many great things happen around here, we've decided to post monthly updates of a few of the AWESOME things that happen in A PLUS! We'll pop it off with some March Highlights! FEATURE STORY -- UtilityPLUS crew rocks it, all night long. Chris Mazzera got the call at 7pm. "Fallen tree on a substation, need you here ASAP." 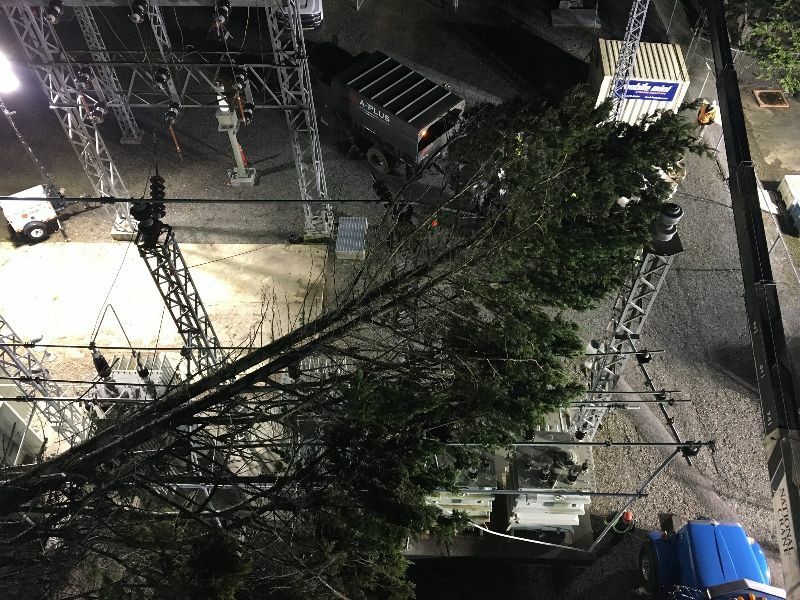 The crew arrived to the site by 8:30pm, performed the work like midnight warriors, completed by 5:30am and got back to the yard by 7am. 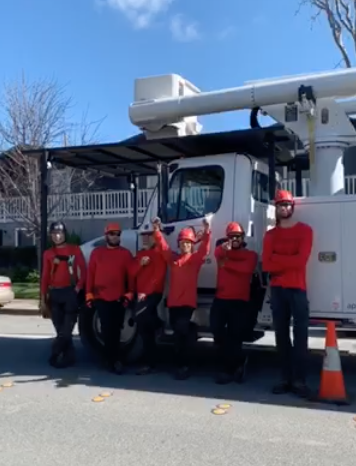 While most of us were catching Zz's, the crew was saving whole neighborhoods from losing power! Huge shout out to Marco Vega, Juan Vega, David Ingalls, Ricardo Terazas and Chris Mazzera! URBAN FOREST SALES - KILLIN IT. 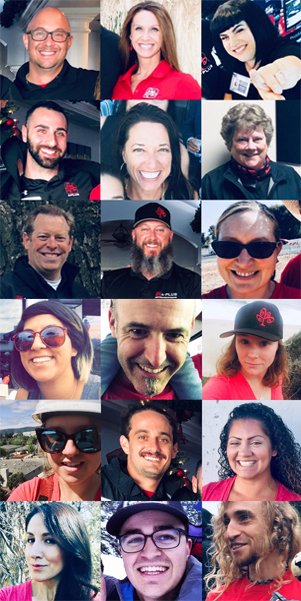 Give it up to the sales team! They are on a roll this year, hitting their goals and BLOWING out A Plus records. Shout out to Grace Kidd (UFM), Eric Mullin (UFA), and with the help of Chad Brey, for acquiring a brand new contract with a large HOA. And to Sherri Weber (UFD) who somehow manages to close down more business faster, every year, and hit a new personal record! If you don't want to get left in the dust, train with A plus! 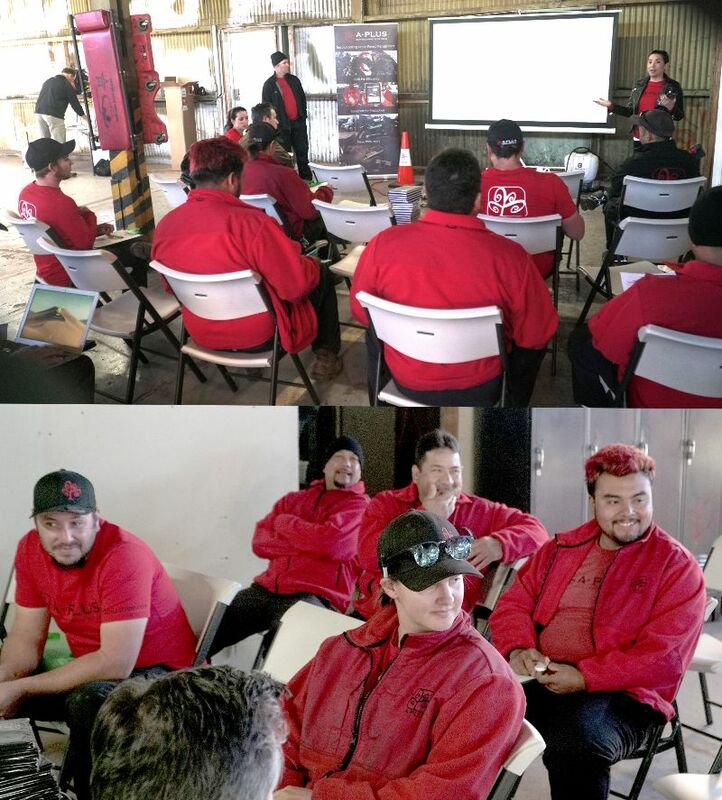 We held our first PHC Applicators training with our techs across the company. It was a full day of learning about safety, plant & disease ID, mixing & applications rates, and our product line-up. Special thanks to Paul Tibbets and Lloyd Furey for whipping up an incredible BBQ lunch and hosting us at the AfterPlus playground. 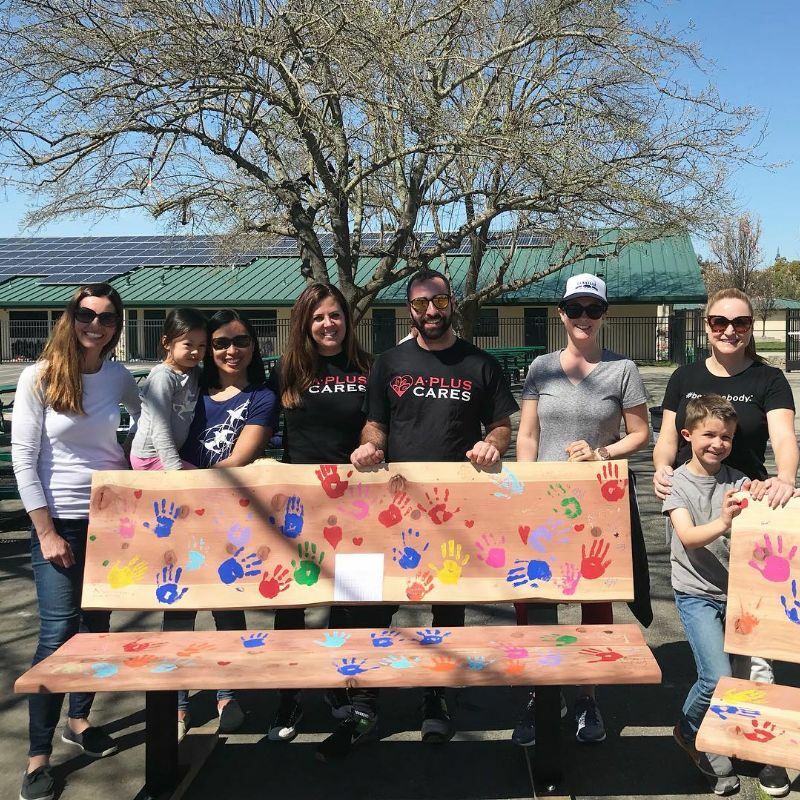 We had the privilege to donate three of our Urban Recycled Redwood benches to John Baldwin Elementary for their Friendship Project!! Carrie Eidsmoe and Nicholas Nociforo joined the kids as they stamped the benches with their hands and painted encouraging notes. These will be sealed and installed on the playground for all to enjoy. Danny Mendez and the Alameda Crew (Kellan Turner, Daniel Gonzalez. Arnulfo Molina & Juan Tellaz)!! And Rachelle Hepburn for the sweet video skills. Live the 6 DONES y'all!! Brad Norman lost a ton of sleep fixing ArborPlus google-induced issues. Without ArborPlus we're like lost pit bull puppies. Thanks Wizard Braderick! We passed our company audit with flying colors, thank you Tabitha Huston for leading the charge! Natasha Ducharme is a ROCKSTAR for all her efforts with PG&E! That's all folks... Until next month's update, stay calm and prune on!